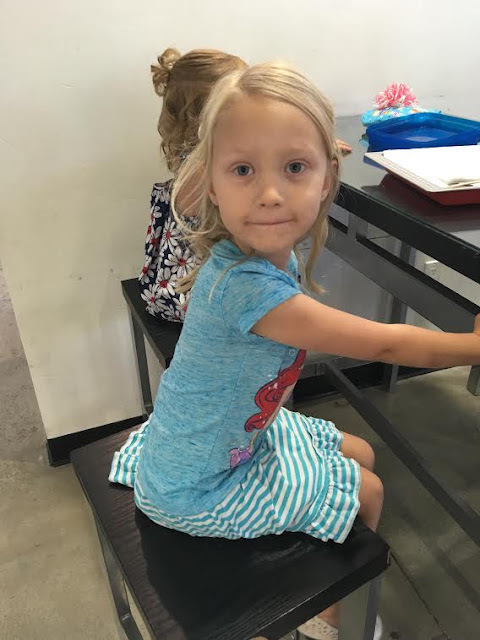 J just turned 5! She's getting so big and smart. This year we decided to let her have a friend party. Normally we only do family parties or go swimming with cousins. 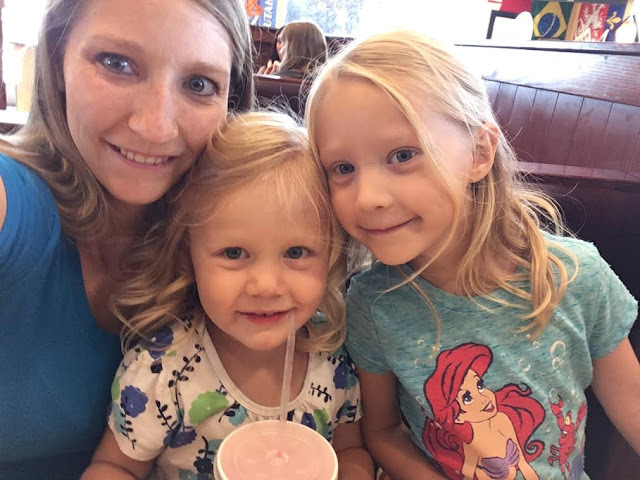 But 5 is a big year and we decided we would do a princess birthday party for some of her little girl friends. We had the morning to get ready for the family party that was later in the day, though, so we started out by going to Maceys to get the donuts for J's donut cake. I let her pick which ever donuts she wanted. She was pretty happy about her donuts. 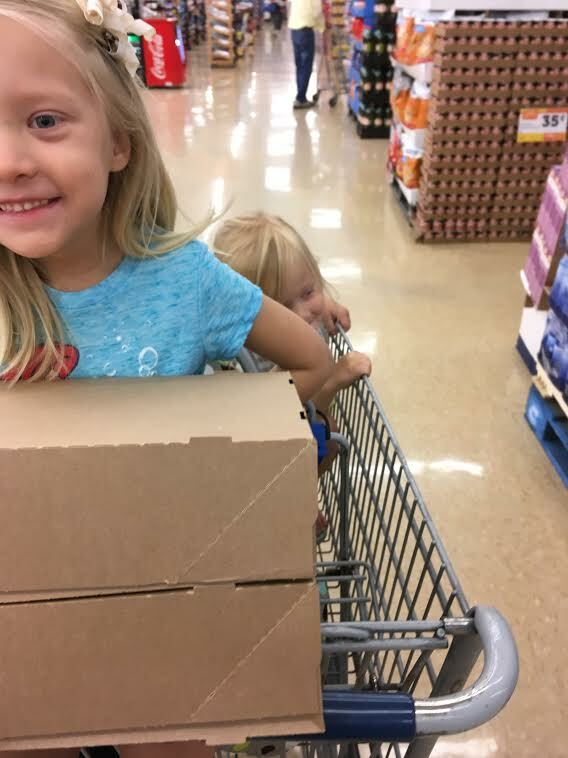 They wanted to eat one right out of the store, but I told them they had to wait. Now I'm thinking, it probably would have been ok to go ahead and eat one. 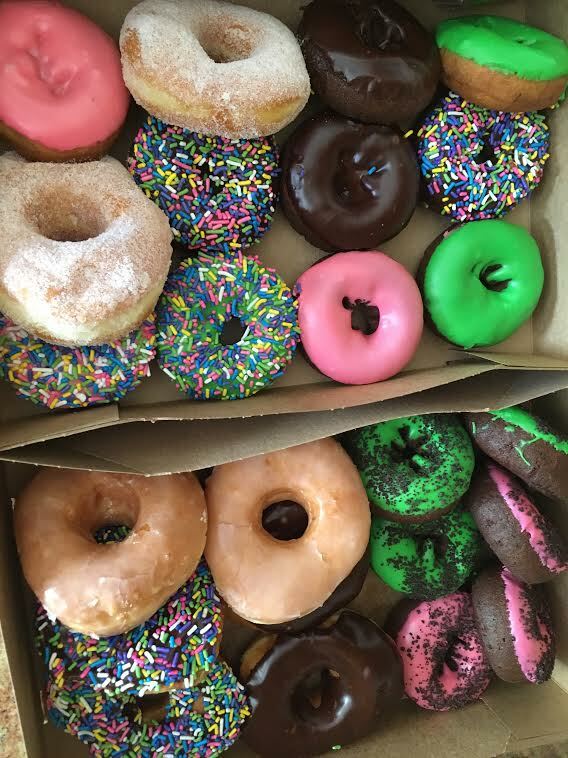 We had several donuts left over. 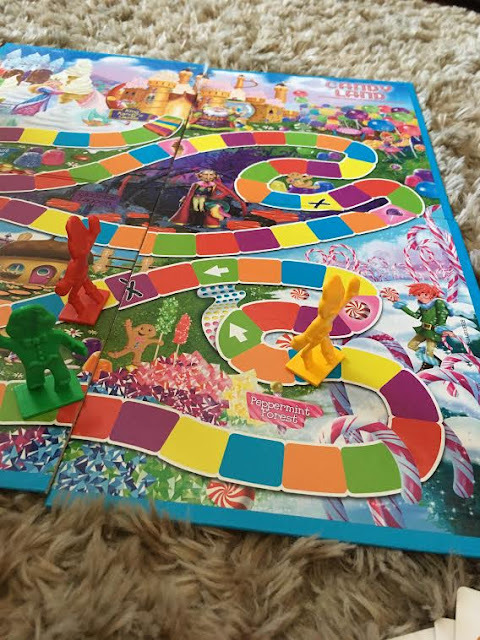 Candy Land was her next request. Her and M played with that for about 20 minutes together, while I fed V.
Then, after lunch, it was finally time for her princess party. She could hardly wait another second. We took them to Renaissance Acadamie in Provo for princess hair-dos and mini manicures. I found this place on a whim, and I'm really happy that I did. It's one of those places that you pass by a thousand times and wonder what exactly it is. But after our first party plans fell through, I googled little girl birthday party ideas in our area, and this one came up. 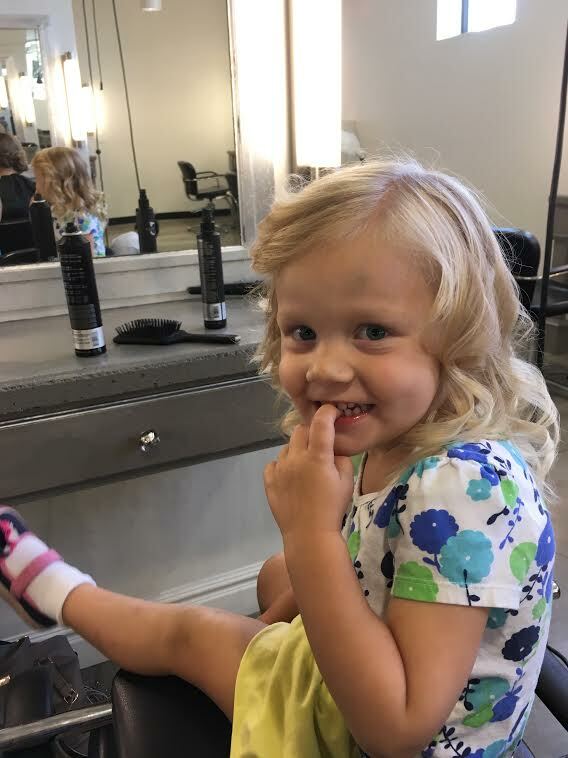 M's hair has never curled so good. Lets keep our fingers crossed that I can get it to curl like this again because it was darling on her. 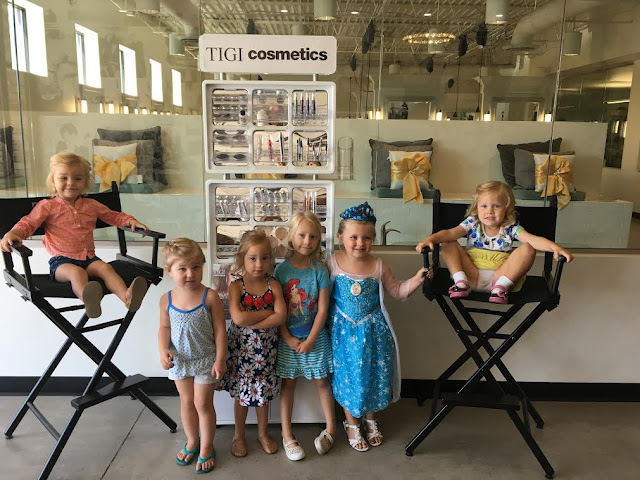 All of our little princesses loved the party and had a fun time. They were also all very beautiful and excited about their hair an nails. 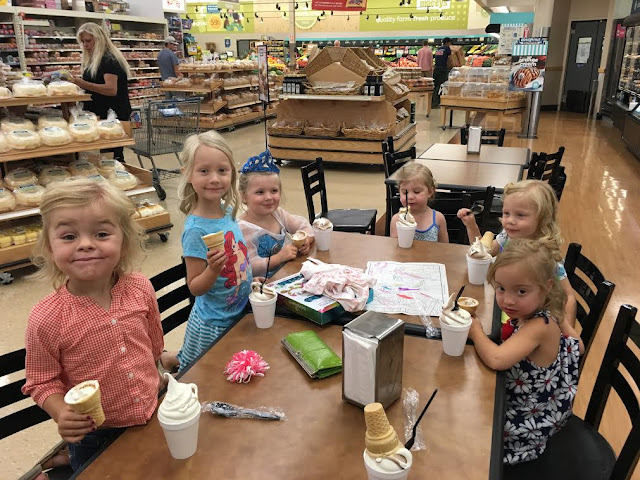 Since Maceys is right by the hair salon, we went back over to get ice cream cones for the kids (and the moms). We got done and got everyone home and then we went home to meet up with Trevon so we could go out for dinner. J chose JCW's and we all were ok with that. 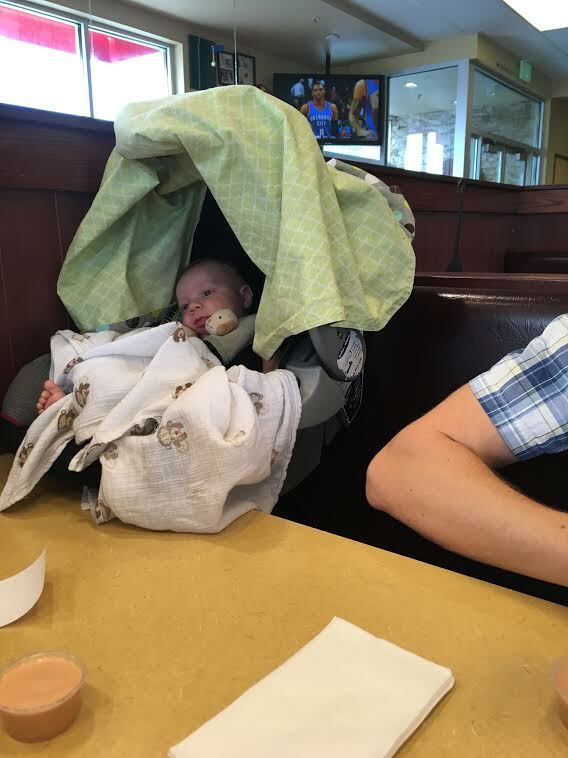 When you have a carseat to carry around, you get creative with how to keep it out of other's ways and keep it close by when it doesn't fit sideways in the booth. Then we were off again to swim. And then we had the donut cake. Pretty easy and simple, I was really glad I didn't have to worry about frosting a cake the night before. I would definitely suggest going this route for a super quick and easy birthday cake. M loves to do everything J does, so she couldn't help herself from helping J blow out the candles. Thank heaven J seems to still like the little shadow. Talk about a full, fun birthday! I don't think there was anyone more tired than these two by the time we got them in bed. They played hard and had fun and were ready for a rest by bed time. Did you have birthday parties growing up? My birthday parties were mostly family parties with my cousins (basically my best friends anyway, so win win there). Best birthday cake you ever made?